provide the area with perfect weather conditions and ensures the uniqueness of each grape in every Baglietti bottle ever produced. Welcome to discover the wonderful secrets of the Prosecco region. Welcome to the home of Baglietti. There are a handful of vineyards in the world that always walk that extra mile. Vineyards who know that the difference is in the details. Vineyards who, over the years, evolve into something else. Something bigger. Anno Domini is one of those special places. Boutique, optimal for wine tastings and cultural events. The multifunctional location is also an ideal backdrop for celebrations or weddings in the Beato Erico Chapel, situated right onthe vineyards property. Yes, Anno Domini is a special place. At Baglietti it is all about craftmanship and family tradition. Our wine house is known for its high standards and great quality. Every day we work hard to create modern wines without compromising with our legacy. We do what we love and we love what we do. And we make sure that thisapproach is reflected in every singlebottles that leave our house on its way to you. Today Baglietti is well known for its premium quality. But where do the numbers come from? The legend has it that the wines’ names are inspired by addresses along a certain Treviso village street where important decisions regarding the wine house’ future have been made. One decision at number 5, one at number 6, one at number 7 and another one at number 10. When you are proud of your product because you know that no detail has been left to chance you want to dress it in something that resonates with what is inside, something beautiful. 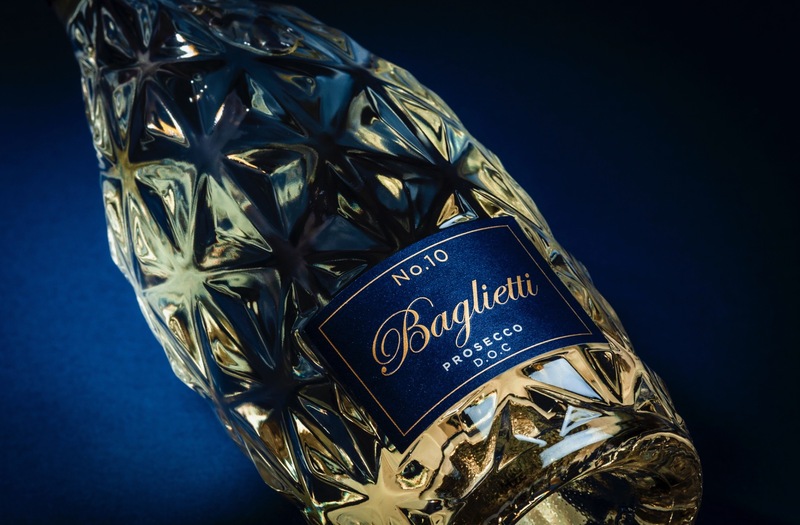 For Baglietti we wanted to create a bottle that stands out and contacted the renowned designer Raimondo Sandri. We told him what we wanted. determined. “You’ll see, I’m going to give you a bottle that sparkles”. Today we know he was right.  The blue prints were turned into prototypes and slowly into a unique and a one of a kind bottle. 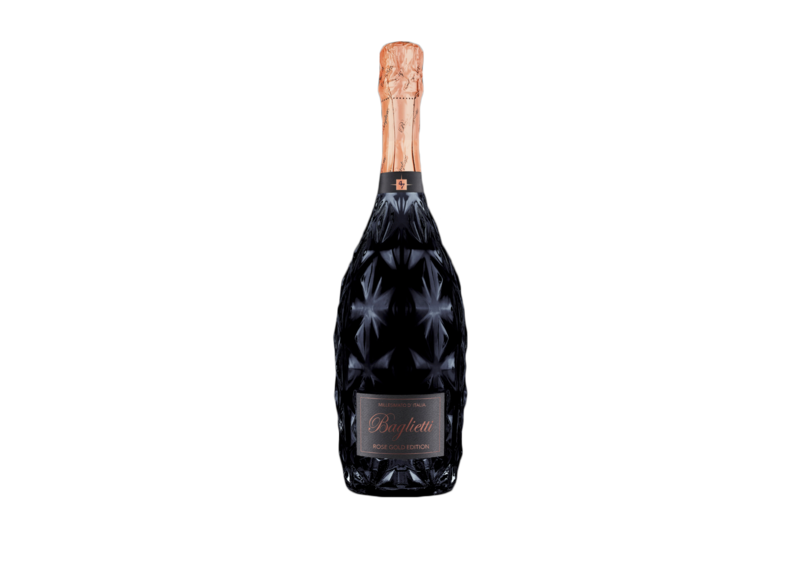 Raimondo delivered on his promise and today we could not imagine Baglietti without its perfect and sparkling bottle. Cheers! 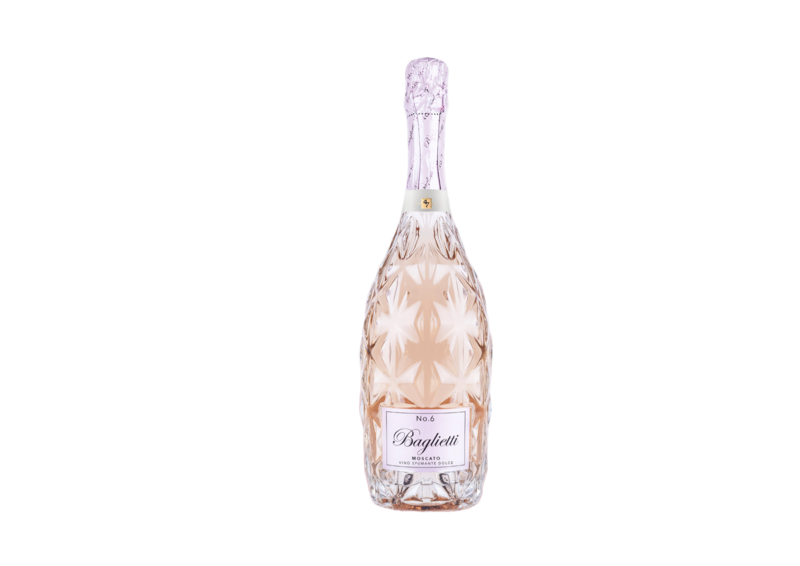 Baglietti Rosé Extra Dry No.7 is an ecologicalspumante rosé with a rich scent from white peach, citrus and summer berries. The taste is elegant and dry with elements of raspberry, citrus and almond. A well-bal-anced acid combined with a dry finish givesthe wine wonderful fullness. Baglietti No.7 is completely organic from start to finish. Serve the wine cold, 6 – 8°C. 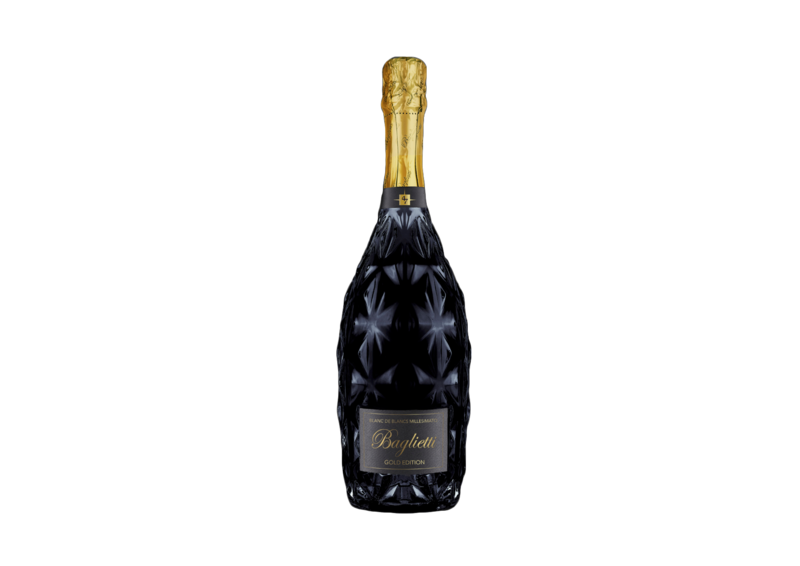 Baglietti Prosecco No.10 has a large scent and an elegant dry taste of pears, citrus and almonds. By allowing the wine to rest on yeast over time, a particularlydry and full flavor is able to evolve. InNo.10 we only use grapes from the Piave area, which is Baglietti’s most qualitative area in Prosecco. The perfect serving temperature is 6-8°C. 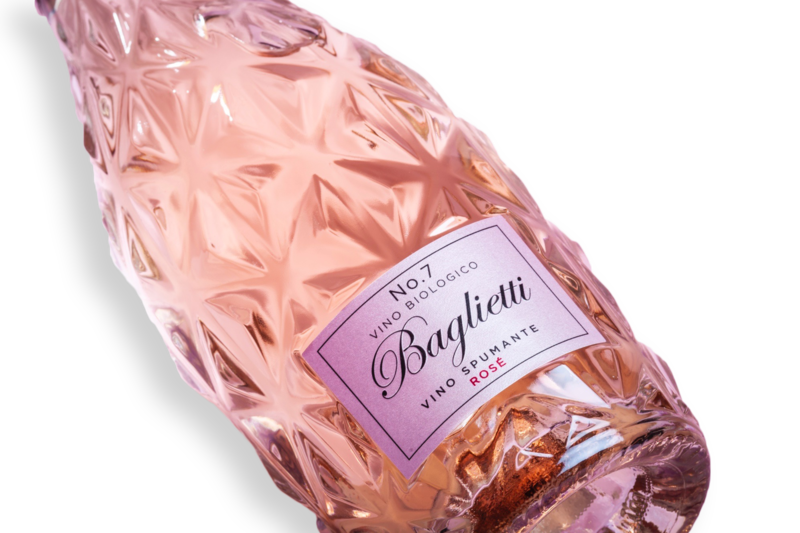 Baglietti Moscato Rosé No.6 has a sweet and elegant berry-like taste with a gentle touch of lychee, red berries, citrus and herbs. Perfect with light food or as an aperitif. Make sure it is served cold, 6-8°C. Baglietti Moscato No.5 has a fresh andbubbly taste with plenty of flower and berries. Pineapple, elder flowers, pearand honeydew give the wine its unique character. Serve the wine cold, 8-10°C. 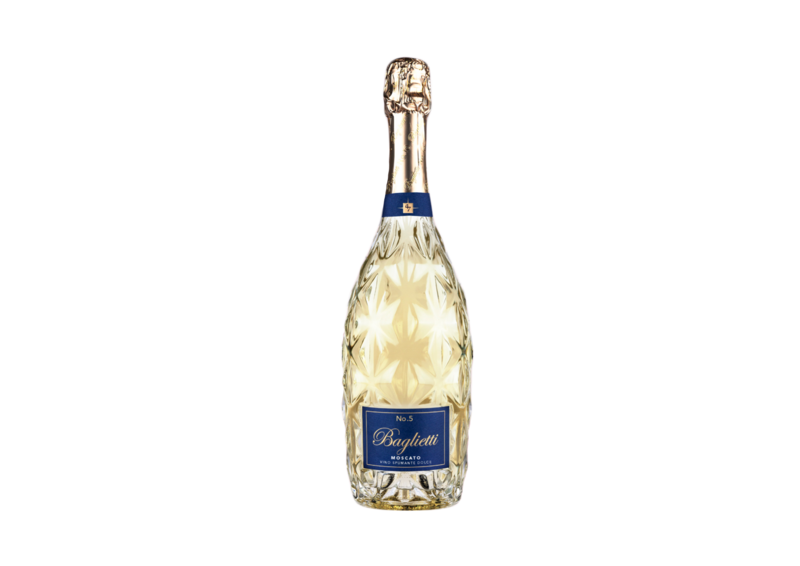 Baglietti Blanc de Blancs MillesimatoGold Edition has a well defined acidstreak with a touch of young fruit and green apples. The taste is complex and elegant with elements of apple peals and citrus. Serve cold, 6-8°C. 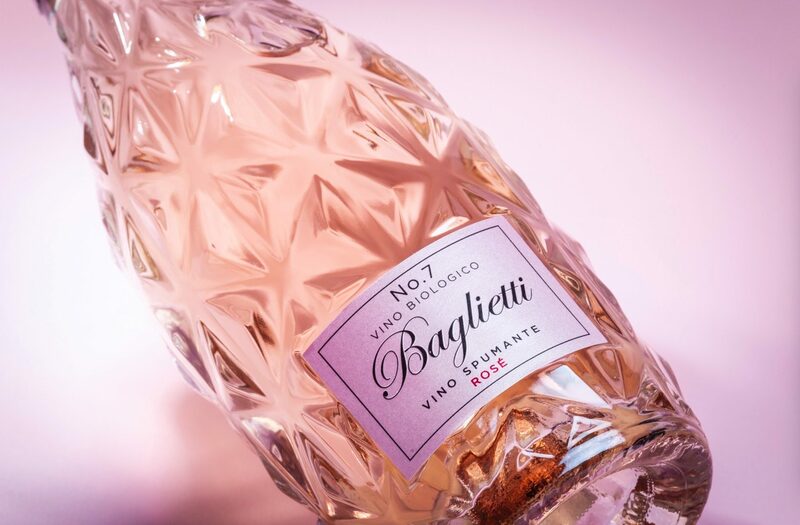 Baglietti Millesimato d ́Italia Rose Gold Edition has a large scent with elements of wild strawberries, citrus and freshly baked brioche. The wine is dry with fresh acid and small bubbles. Serve at 8-10°C.